In my last blog post, I showed how the transformation of chocolate is a reflection of the industrialization of the food industry, as chocolate moved from being a natural, healthy food to a processed item that barely resembles cacao. When we think of modern chocolate, the first thing that comes to mind is often Hershey’s and Mars. The ingredients in these products mark the epitome of highly processed, artificial food. However, there is a whole different market for chocolate out there that counters this type of chocolate. As the food industry has become industrialized and increasingly processed, people have started to become aware of the negative health effects of these foods. They are becoming cognizant of what they are eating and where their food is coming from. This has given rise to a new trend in diet and lifestyle, in which people aim to eat healthier, organic, natural and local foods. Research shows that the rise in organic food production is strongly correlated with knowledge about mass-produced food, including awareness of the public health, environmental and moral risks of the food industry (Guthman). People are looking for something healthy, and Whole Foods has captured this audience, becoming a hugely successful grocery store nationwide. The chocolate selection at Whole Foods is a reflection of this new food trend that directly counters the fast, processed food industry. The central message of Whole Foods promotes a healthy, sustainable lifestyle. On their website, they claim to be America’s healthiest grocery store and describe eight core values: (1) sell the highest quality natural and organic product; (2) satisfy, delight and nourish customers; (3) support team member excellence and happiness; (4) create wealth through profits and growth; (5) serve and support their local and global communities; (6) practice and advance environmental stewardship; (7) create on-going win-win partnerships with suppliers; (8) promotes the health of stakeholders through healthy eating education. The first thing I noticed when I walked in the store was the emphasis on these values. The signs around the store read: Sweetened by nature, more organic choice everyday, supporting organic and sustainable farming and get more green. This, combined with the imagery around the store, pulls you into their world of health food. There are products for every new fad diet, including paleo, vegan, vegetarian, and most food is labeled as local, organic or natural. The store appears to be the picture of health, ethics and well-being, and it makes you feel like you will be too if you shop there. This plays directly into the mentality of food enthusiasts who oppose the fast food industry. As Guthman describes this consumer, “In contrast to the fast food eater, the reflexive consumer pays attention to how food is made, and that knowledge shapes his or her ‘taste’ towards healthier food” (Guthman). Extensive signs and labeling are intended to draw customers in and help determine which products they want to buy. All of these observations are reflected in the chocolate selection at Whole Foods. The first chocolate selection that I came upon was a shelf at the end of an aisle, as pictured to the right. The first thing that jumped out at me was the aesthetic of all the chocolate bars lined up. The bars displayed pictures of food, nature, and highlighted the words organic, natural and various other certifications to prove their quality. I then began to investigate each of the bars individually. For the purpose of comparison, I looked at the basic dark chocolate for each brand. The first bar I picked up was the Endangered Species brand, pictured to the left. The first thing that caught my attention was the face of a chimpanzee staring at me. This was not something I expected to see on a chocolate bar. The bar is described as natural dark chocolate with 72% cacao. The ingredient list reads as follows: bittersweet chocolate (chocolate liquor, cane sugar, cocoa butter, soy lecithin, vanilla). This is a simple list, adding to the picture of being a natural chocolate. The certifications on the front are Fair Trade, Non-GMO project verified, certified gluten free and certified vegan. It also notes that they donate 10% of their profits, which is described further on the back. It says that by choosing this brand, you are supporting conservation programs worldwide. Each bar pictures a different engendered species, with information on that animal inside. This connects with the consumer on a moral level through the animals and certifications. Next, I looked at the Whole Foods brand bar, which did not have plain dark chocolate, so I picked the dark chocolate and almond bar, pictured to the right. What stood out first were the three pictures on the front, one of school children, another of a woman working, and the third of a cacao tree. It was labeled “Tanzania Schoolhouse Project” where “a portion of proceeds helps fund the education of children in the Kyela district of Tanzania.” This connects with the consumer on a moral level, making them feel they are making a difference by choosing this bar. It is interesting that this bar only used the term “a portion,” whereas the Endangered Species bar specifies that 10% of their profits are donated. Whole Foods also specifies their sugar is organic and fairly traded. On the front, they have a Whole Trade guarantee certification, which I had not seen before. Their website explains that the product must meet the following criteria: meet our strict product Quality Standards, provide more money to producers, ensure better wages and working conditions for workers, and care for the environment. They also have the USDA organic certification on the front and on they back specify that is it certified organic by Quality Assurance International. They note that it is a product of Belgium, but do not specify where the cacao comes from. The ingredients in this bar were: organic chocolate liquor, organic cane sugar, organic almonds, organic cocoa butter. While these are just two examples of bars on the shelf, they show a trend. They market a sense of morality in choosing chocolate. Each company pledges to donate a portion of their profits to make a difference in the world, trying to make their bar unique. All of the bars on the shelf were decorated with certifications, including fair trade, organic, vegan, non-GMO and more. They were also similarly priced, each at around $3 for about 3 ounces. The last thing I noticed were the ingredient lists. They all had few ingredients, many of them labeled again as fairly traded or organic. I did not encounter a single refined sugar or ingredient that I could not pronounce, which speaks to the quality of the chocolate. This chocolate is far from the average Hershey’s bar, as each company has tried to make itself authentic and unique. The second section of chocolate in Whole Foods was a bit pricier, though was similar in terms of packaging, ingredients and certifications. One brand of interest was Taza, since it is a local company in Somerville. Having tasted this chocolate, I knew the texture was coarser than typical chocolate. It was labeled as stone ground, which suggests less processing, with more thought and effort put into the process. The bars on this shelf ranged from about $5-9 for roughly 2.5-3 ounces. The one bar that did not seem to fit in with the others was a brand called Mast, pictured above. The bar is simple, and the back lists the cacao percentage and ingredients. The bars contain cacao, cane sugar, sometimes an additional flavor and nothing else. I found this very intriguing, so I went to their website to investigate further. The company is located in New York and is owned by brothers Rick and Michael Mast. The design of the website was similar to the bar in its simplicity and lack of information. They claim to “source directly with regions around the world, looking for the rarest, complex and delicious cacao available. Mast pays far beyond commodity and fair trade minimums and has been instrumental in developing new growing regions.” However, they do not provide any further insight into where exactly they are sourcing their cacao. They do offer tours where you can learn more, so maybe they would reveal this information there. According to Rick Mast, “Our mission statement as a company is to provide locally produced craft chocolate…That’s it. We don’t need to design the packaging or do publicity to make sure people are educated in Singapore. That is the importance of the local food movement in general” (Williams and Eber). This is a unique philosophy in the current chocolate market. This bar stood out the most among all of the other brands that were trying so hard to distinguish themselves with promises or donations and certifications. While Mast may not believe in them, certifications are definitely trending. The two most common themes were various fair trade and organic labels. Fair trade is a very complicated ongoing debate. Fairtrade is the most common fair trade label in the world (Sylla). While their intentions and values may be good, “It seems that the founders of Fairtrade unwittingly opened a Pandora’s box” (Sylla). After they became successful, many other labeling companies emerged and began competing with one another, each with different standards and no uniformity (Sylla). The actual effectiveness of a fair trade label is also questionable. Research shows that for one American consumer dollar spent on a fair trade product, the farmer in a developing country only makes three cents more than it would have otherwise (Sylla). However, consumers are not aware of all these issues, and thus when they see a fair trade label, assume that they are buying a more ethical product. The organic certification is less complicated but has a similar effect on the consumer. There has been a growth in consumer demand for organic-certified products, and people everywhere are willing to pay more for them (Williams and Eber). This holds true in the market for cocoa and chocolate according to the Food and Agriculture Organization of the United Nations (Williams and Eber). But what does this really mean? Williams and Eber describe this push for organic chocolate as a big misunderstanding. Organic cacao makes up only about .5% of the cacao market (Williams and Eber). There are a lot of hoops to jump through to get this certification, in addition to it being expensive. More than 90% of the cacao is grown by small families who cannot afford to go through this process. This also does not affect the flavor of the chocolate (Williams and Eber). The certifiers do not understand the process of making chocolate and thus do not adjust their standards accordingly. Small cacao farms are not the same as larger farms and use very few pesticides (Williams and Eber). Organic may in fact not matter in the chocolate industry and in some cases can decreases the quality of the flavor. Organic is just a certification that makes people feel better about buying the product, but in reality they are just government standards that may or may not be improving quality. This trend does not seem to be unique to the U.S. Europe also underwent a similar industrialization of the food industry, as Hershey’s and Mars became the common chocolate (Martin and Sampeck). In order to combat the big companies and processed chocolate, bean-to-bar chocolate began to emerge, focusing on small-scale manufacturing and single origin fine cacao (Martin and Sampeck). To address the labor and sourcing of the cacao, certifications began popping up everywhere. However, certifications in Europe are being questioned as well. This seems to tell the same story that we have discovered in the U.S. Therefore, this issue is not unique to the U.S. but rather is a global issue surrounding the food industry. The demand for quality in the chocolate industry has ultimately created a surge of certifications. This makes consumers feel that what they are getting is natural and ethical, and they feel better about it. But is this really what they are getting? It is hard to tell, but it seems like simply putting ever more certifications on bars has become a trend but is not necessarily ensuring a better product. However, in comparison to the highly processed chocolates made by Hershey’s or Mars, is is reasonable to assume that these are better quality. There is still more to be done in the market for quality chocolate. The Mast brothers have realized they don’t necessarily need all of these certifications to produce a quality bar, although they could be more transparent about their sourcing. The selection at Whole Foods demonstrated the trend in the chocolate market towards certifications and ethics, which is a worldwide issue. Guthman, Julie. “Fast food/organic food: Reflexive tastes and the making of ‘yuppie chow’.” Social & Cultural Geography 4.1 (2003): 45-58. Hsia, Winnie. “What Is the Whole Trade Guarantee?” Whole Foods Market. N.p., 02 Oct. 2012. Web. 05 May 2017. http://www.wholefoodsmarket.com/blog/what-whole-trade-guarantee. “Learn.” Mast Brothers. N.p., n.d. Web. 05 May 2017. https://mastbrothers.com/pages/learn. Martin, Carla D., and Kathryn E. Sampeck. “The bitter and sweet of chocolate in Europe.” SOCIO. HU 2015.3 (2015): 37-60. “Our Core Values.” Whole Foods Market. N.p., n.d. Web. 05 May 2017. http://www.wholefoodsmarket.com/mission-values/core-values. Sylla, Ndongo. The fair trade scandal: Marketing poverty to benefit the rich. Ohio University Press, 2014. Williams, Pam, and Jim Eber. Raising the Bar: The Future of Fine Chocolate. BookBaby, 2012. *Pictures were taken by me at the Whole Foods on River Street in Cambridge. Boxes of chocolates, chocolate bars, cakes, a hot cup of cocoa, brownies, chocolate mousse, chocolate chip cookies… who doesn’t indulge in chocolate in some form or another? I think it’s fair to say that the majority of people love chocolate. And why wouldn’t we? There have been hundreds of variations of chocolate for every occasion and for many chocolate taste bud preferences. Chocolate seems to be a part of our everyday lives and we have had a long historical relationship with it. The journey of chocolate becoming a commonly consumed food item to enjoy is not only interesting but it is continually developing. Consumption and innovation throughout history have kept chocolate in demand. Different eras have added new and delightful versions and forms of chocolate that we consume today. When chocolate made it’s way to England in the 1650s it became popular with the royals and aristocrats, but it was only the elite that could afford the expensive Spanish import (Klein, Christopher). Most commonly the wealthy enjoyed chocolate drinks as a celebrated elixir with salubrious benefits (Klein, Christopher). “As the popularity of chocolate grew, so did the number of cocoa growing countries in the world” (Discovering Chocolate). When more cocoa beans became available to a wider population this greatly contributed to the popularization of chocolate, and so “the price of cocoa beans gradually began to fall as greater quantities came onto the market” (Discovering Chocolate). In addition, in 1853, a significant reduction of import duties were made with the Industrial Revolution making transporting the commodity more lucrative (Discovering Chocolate). It wasn’t until Johannes Van Houten invented the hydraulic press in 1828 that chocolate-making revolutionized. The hydraulic press squeezes the cocoa butter from the cacao beans producing a dry cake that then gets pulverized into a fine powder, or as we know it, cocoa powder. During this progressive time in chocolate’s history, chocolate began to develop from its drinkable form into other forms that we are more familiar with. Johannes Van Houten’s innovation permitted cocoa to be mixed with other ingredients which enabled it to be used as a confectionary ingredient. This development also created a drop in production costs, making chocolate more affordable to the masses thereby increasing demand. From Johannes Van Houten’s creation came many other developments in chocolate’s journey, like Joseph Fry’s manufacturing of the first chocolate bars for eating in 1847. Henri Nestle mastered the art of powdered milk, which in turn enabled Daniel Peter to create the first milk chocolate bar in 1867. Each of these innovations contributed to the next chocolate transformation, bringing more varitys and ways to consume it. As chocolate became increasingly more popular chocolate producers were stretching it with fillers to satisfy the growing demand. A scandal in production required the British government to intervene with an enforceable act to stop the chocolate producers from using inappropriate fillers to produce their chocolate products more cheaply. The Food and Drugs Act was passed in 1860. Cadbury’s name in particularly was tarnished when they got caught cutting their products with brick dust, iron filings, and lichen. Unsurprisingly the consumers were not amused. Cadbury came back strong from the scandal by developing improved products with their new slogan “absolutely pure.” The scandal did not prevent chocolate’s journey to become one of the most commonly consumed sweets in the world. The next major and significant invention in chocolate production was Rudolph Lindt’s conching process in 1897. The conch is a kneading machine which refines chocolate into small particle sizes and creates velvety texture to chocolate with a superior taste (Klein, Christopher). Chocolate became a mass-produced food product with ever-increasing consumer demand. The chocolate boom in the late 1800s and early 1900s has yet to fade (Klein, Christopher). If anything, chocolate consumption continues to rise. The average American today consumes 12 lbs of chocolate a year, Swedish people consume a whopping 20 lbs a year, and $75 billion is spent annually on chocolate worldwide (Klein, Christopher). The way chocolate is being made is continually changing. We have been making chocolate in a heavily commercial and industrialized way since the mid-1800s. However, now consumers seem to prefer chocolate made a more historic way, which is smaller scale than industrialized production, the slower and more attentive process creates more refined and flavorful chocolate. Fair trade and other alike qualifications are also becoming increasingly important for consumers purchasing choices. As production methods continue to evolve and the innovation of new products enter the market for reasons of price, taste, and now growing ethics, the demand will also continue to increase. It is however the industrialization of chocolate that is perahps the most significant milestone in chocolate’s historic journey which enabled chocolate to reach the masses. Humanity’s most enjoyed and indulgent foods for centuries owes the industrialisation era of chocolate to become a widespread and accessible pleasure to all. Without it chocolate may have remained and indulgent food of the elite. “Discovering Chocolate.” Cadbury. Cadbury, n.d. Web. 8 Mar. 2016. <https://www.cadbury.com.au/about-chocolate/discovering-chocolate.aspx&gt;. Klein, Christopher. “The Sweet History of Chocolate.” History.com. A&E Television Networks, 13 Feb. 1014. Web. 8 Mar. 2016. <http://www.history.com/news/hungry-history/the-sweet-history-of-chocolate&gt;. “Nigella Lawson Chocolate Chip Cookies.” Youtube. Millionairsrbak, 16 Oct. 2011. Web. 8 Mar. 2016. “#1 M&Ms from America’s 10 Favorite Chocolate Candies.” The Daily Meal. The Daily Meal, n.d. Web. 8 Mar. 2016. <http://www.thedailymeal.com/eat/america-s-10-favorite-chocolate-candies-0/slide-11&gt;. “Watch How Mars Makes M&M’s.” YouTube. CNNMoney, 17 Jan. 2013. Web. 9 Mar. 2016. Marcel, Presilla E. The New Taste of Chocolate, Revised. New York: Ten Speed Press, 2009. 17 February 2016. Print. Coe, Sophie D., Michael D. Coe. The True History of Chocolate, 3rd ed. New York: Thames and Hudson, 2013. Print. Pixle1. Chocolate Chip Cookies. 2015. N.p. Chocolate has captivated Western audiences since its introduction into the European diet. Early European samplers found that chocolate and cacao had remarkable bodily effects. It lightened moods, revived the faint, and expelled “sorrows” (Graziano 132). Thus, Western culture set out to unlock chocolate’s corporeal, chemical, and psychological effects, using the current cultural medical discourse of the time. But from its earliest days, this food related exploration was couched in pseudoscience and speculation, a practice that continues today. Chocolate has been medically scrutinized from the moment it entered the European economy and has been unpacked and forced to fit the medical discourse of the time. Upon its entrée into 16th Century, pre-Modern Europe, chocolate was deconstructed and studied to fit into the cultural “humoral system,” the current medical view that built on the Hellenic belief that the body contained four humors—blood, phlegm, yellow bile, and black bile (Coe and Coe 121). Health and well-being were established by maintaining an equilibrium between these humors. Thus, all new food sources entering into Spain from the Americas had to pass “medical tests” to understand “how novelties like tomatoes, chiles, vanilla, squashes and potatoes affected the ‘humors’ of the body” (Presilla 27). 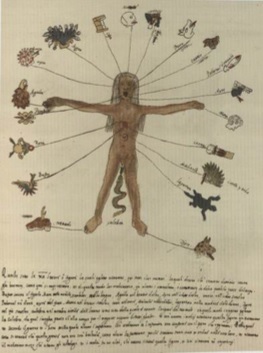 This collection of Pre-Modern cartoons showcases the cultural medical and bodily beliefs associated with the four humors. All four were to be kept in a precise balance, or one would slip into any of the four extreme states—lust, anger, slow response, or depression. Please note that the terms “Mucus” and “Phlegm” were often used interchangeably. Chocolate was particularly difficult to classify, as it didn’t affect the body in singular or localized ways (Presilla 27). Thus, medical professionals devised complicated and detailed ways to deconstruct the medicinal and health properties of chocolate to fit the medical cultural norms. Dr. Juan de Cardenas proclaimed that cacao in its raw form was damaging, but when toasted or mixed could be medicinal. The fat solids were warm and dry, and the cacao solids were earthy and dangerous. However, one could mix chocolate with other additives like the hoja santa plant or vanilla to “tame the ‘malice’ of cacao” (Presilla 27). Similarly, royal physician Francisco Hernandez believed “the cacao seed is ‘temperate in nature’…but leaning to the ‘cold and humid’; on the whole, it is very nourishing. Because of its ‘cool’ nature, drinks made from it were good in hot weather, and to cure fevers” (Coe and Coe 122). Thus, from its earliest appearance in the Western world, chocolate has been used and studied in attempts to pinpoint the substance’s health risks and benefits, using the medical lens of the time. Chocolate was melted and molded to fit the medical discourse of 18th-19th Century Europe as well. In an era where medical professionals looked to draughts and poultices as the panaceas to most ailments and diseases, chocolate was branded a health food that could be combined with other substances to better palate and enhance the medical benefits of these additives (Graziano 139). Ads like these ran regularly in newspapers and other publications of the 1700’s and promoted the message of chocolate as a health food. These widely circulated advertisements widely spread this belief and began the trend for other health and additive infused chocolates. Sir Hans Sloane developed milk chocolate in 1700’s as a medicine, “primarily to increase the digestibility of the high fat cacao” (Graziano 136). Other chemists began creating “homeopathic chocolates” as well, adding other additives like rice flower, chicory root, albumin, and iron to cure a host of ailments including digestion, menstrual irregularities, and anemia (Graziano 139). During this era, multiple other forms of chocolate hit the shelves including, “amber chocolate, tonic chocolate, binutritibe chocolate of chicken broth, chocolate of pepsonized meat, tar chocolate” (Graziano 139). Thus, like the 16th Century Europeans, 18-19th Century European society adapted chocolate to fit their cultural medical practices as well, melding chocolate with medicinal and dietary supplements. Today, while chocolate is no longer consumed as medicine or a humor maintaining substance, it has not lost its medicinally captivating qualities. Scientists and medical professionals continue to try and pinpoint the potential health benefits of chocolate, often using what appears to be correlative or circumstantial evidence. Medical News Today suggests that “potential benefits” of eating chocolate include, “lowering cholesterol levels, preventing cognitive decline (Nordqvist). A report in the British Medical Journal concluded, “based on observational evident, levels of chocolate consumption seem to be associated with a substantial reduction in the risk of cardiometabolic disorders. Further experimental studies are required to confirm a potentially beneficial effect of chocolate consumption” (Nordqvist). And a study at the University of Granada simply concluded that, “teens who eat lots of chocolate tend to be slimmer” (Nordqvist). Once again, these conclusions seem to be couched in highly correlative and speculative logic. However, I posit that this nothing new for Western culture. For centuries, chocolate has captivated the Western audience, and the mystery behind its potential health benefits has baffled generations. And since its introduction into European culture, chocolate has been linked to this pseudoscientific study of health and benefits, a practice that has persisted into the modern day. Graziano, Martha M. “Food of the Gods as Mortals’ Medicine: The Uses of Chocolate and Cacao Products.” Pharmacy in History 40.4 (1998): 132-46. Web. 17 Feb. 2015. 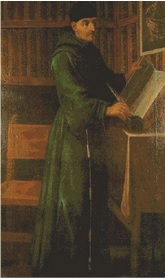 Nordqvist, Joseph. “What Are the Health Benefits of Chocolate?” Medical News Today (2014): n. pag. Web. 18 Feb. 2015. Presilla, Maricel E. The New Taste of Chocolate: A Cultural and Natural History of Cacao with Recipes. Berkeley: Ten Speed, 2000. Print. Many have discussed the path that chocolate took throughout its history in the Aztec Empire of the 15th and 16th centuries, however, this essay will address the ways in which chocolate was ingested and utilized as a method of human consumption as a food and healing property. It was in his work Historia general de las cosas de Nueva Espana where Bernardino de Sahagun began what we know as one of the first accounts of how chocolate was being consumed among the Aztec elite in the 16th century and prior. In Historia, Sahagun had interviewed many Aztec individuals, detailing how they put forth their use of cacao: it was an elite food with a rich taste that was to be drunk by the most powerful and royal. It was also called the “heart and blood” because it was so regarded as a necessity for life, and was only reserved for the gods themselves, godly beings, or supreme royal persons. 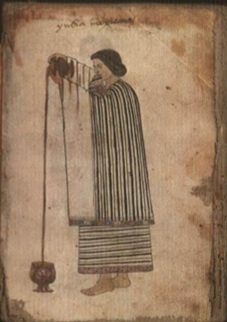 Sahagun also noted that the Aztecs had various beliefs about cacao and its influence on one’s health, which led to further applications of the plant (and its variations) in medicinal healing practices. 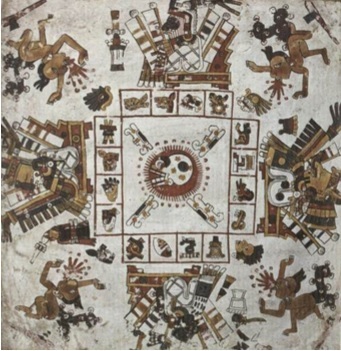 The photo above at-right, for instance, intended to demonstrate the healing rites with cacao for various afflictions that members of the Aztec community may have been affected by. Because cacao had various stimulating properties, it could be used in “incantations” of curing and healing to sooth afflictions such as skin abrasions, fevers, and other troubles that the Aztecs believed were a result of the gods punishing their people. Consequently, when royal members of the Aztec community became afflicted, cacao was used as an aphrodisiac prepared to emit drug-like qualities, which led to illustrious feelings of grandeur reserved for royal persons or people who could afford large amounts of cacao. Because of this potency, it was seen as a royal food that was used as tribute to the Aztec gods, as well. The nature of cacao and its texture in comparison with other foods in the Aztec community set it apart as rich and godly/ For example, it is rumored and perhaps exaggeratedly documented) that Moctezuma drank 50 gold cups of liquefied chocolate per day. He also retained his store of cacao not just to eat it, but as a symbol of his wealth compared to everyone else, meaning that the nature of chocolate also extended far beyond just its ingestion and medicinal qualities. As depicted above, there is a woman frothing chocolate into a rich and creamy drink as opposed to its usual more rigid “beany” form. This made cacao even more alluring because of its flexibility to be prepared and ingested in different forms allowed the Aztecs to never get bored of having it, essentially.